Welcome friends, to CoolUtils. You may be wondering who we are and what we're all about. We pride ourselves in being the experts in conversion utilities. With tools that support over 1,400 different file types, we offer solutions for every possible conversion need (audio, images, videos, emails, Excel, HTML, PDF, CAD, Outlook and more). 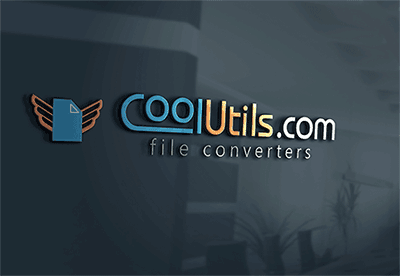 Coolutils file converters are not "just another app". We are not about simple tools with limited functionality. We offer the most powerful programs with flexible settings. If you have just a few files, use our free online service. If you work with hundreds of folders, your documents are large and complicated and you need additional settings to fit your particular task - you will find a solution at Coolutils. Online since 2003, our programs have been polished through rigorous testing and millions of uses. Here at CoolUtils we take our users' feedback very seriously; we are always looking for new ways to make our products more powerful, flexible, and convenient. Should you need a custom version of our app, fill in this form. Minor customizations cost just a few extra dollars. No more feeling hemmed in by a pre-existing file type - if you need to swap formats, we've got you covered! True to our belief in the importance of a good user experience, our apps speak more than a dozen different languages (English, Spanish, German, French, Russian, Dutch, Swedish, Italian, Portuguese, Czech, Japanese, Chinese, Korean). Whether you are in North America, Europe or Asia chances are that we have exactly what you need. Here is also the list of our resellers if you want to purchase from a local partner. Besides, we do provide timely human support. We answer all you questions and never automatically refer you the endless FAQ and boring manuals. Contact us via email, facebook, youtube, twitter or phone. Because of our ability to interface diversely we have had the opportunity to work with thousands of clients from around the world. From government agencies to non-profit organizations it does not matter how big or small your business is, using our converters saves everyone time and money.